The least scary thing about horror movies is making one. 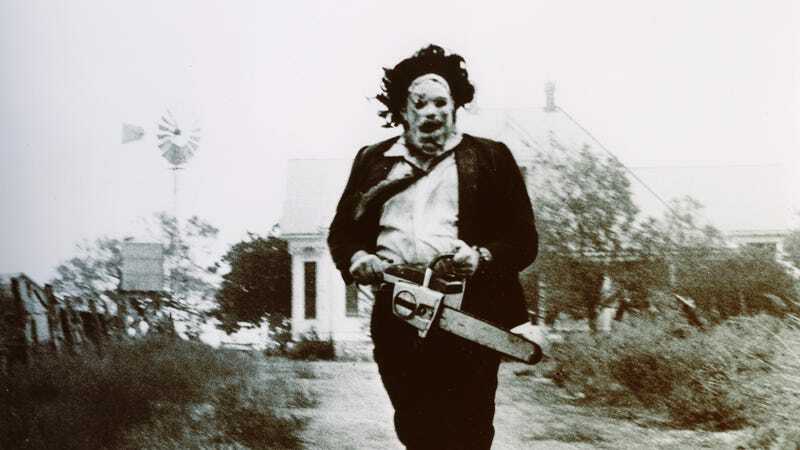 If you don’t believe it, watch these bloopers from the set of the original Texas Chain Saw Massacre. Discovered by Bloody Disgusting (though they’ve obviously been around for a while, and online since 2009), this short video compiles outtakes of flubbed lines and scenes while Tobe Hooper was shooting his 1974 horror masterpiece. It’s pretty blurry and not all that “funny” but seeing scenes that most of us regard with sheer terror in such an awkward light is really enjoyable. No one was scared of the crazy stuff on that set. But once you put some music and editing on it, wow, did it transform.